This map covers Texas and uses custom type styles developed on an Oregon 300 with shaded relief set to 'do not show'. 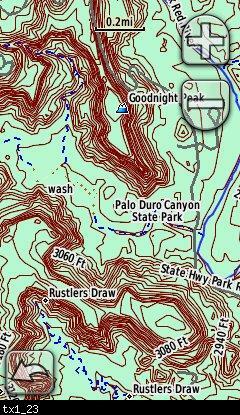 Contours - 10, 20 or 40 ft depending on terrain - created from USGS 1/3 arc sec (about 10m point spacing) NED (2011 Feb). This map can be installed with any other Garmin Maps (How-To Tutorial). Then you simply hide and show other maps until you see the Texas topo - check out this tutorial.